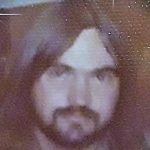 Steve Byrne passed away August 23, 2018 in Ft. Worth. Service: 1 p.m. Monday at Biggers Funeral Chapel. Visitation: 11 a.m. until service time on Monday. He was a Journeyman Electrician, but his passion was playing music; he had played all over Texas. He was born to Ollie and Faye Byrne on March 7, 1951 in Naples, Texas. He was married May 16, 1970 to Sharon Reynolds, and they had been married for nine years. Steve was preceded in death by his parents, and a brother, Jerry. Survivors: He is survived by his children, Michael, Brooke and spouse, Jonathan, and Tish and spouse, Richard; twelve grandchildren; sisters, Joyce, Martha, and Tammy; and many nieces and nephews. He loved them all and will be dearly missed. Visitation is prior to the service, 11 a.m. to service time on Monday. 12341 Morris Dido Newark Rd. One time dad was going to spank my brother and sister and sad wispered to me to go get the goodin puddin bars from the freezer and hide them in my coat and come back. I handed them just before the spanking was about to happen and he busts out with, "I'm gonna woop some booty with some goodin puddin bars"b only he said the a word. There was never a dull moment around my dad. Before he became ill he was such a joy and loved life and laughing. He will always be my source of never giving up my child-like wonder of the world. It has keot me going all my life. I remember how proud he always was of me and how proud I was to be his source of joy. I was so proud to be his daughter and hated seeing him suffer. I loved my dad for who he was without wanting him to be different. I truely have unconditional love for my dad. I'm so sad he's gone and I will cherish my memories of good times and bad.